SPM029 multifunction loop calibrator is a process tool for measuring, sourcing and simulating loop current, mV/ V, loop integrity, and also perform switch testing. Its smart phone-like menu and interface makes it simple and easy to use. 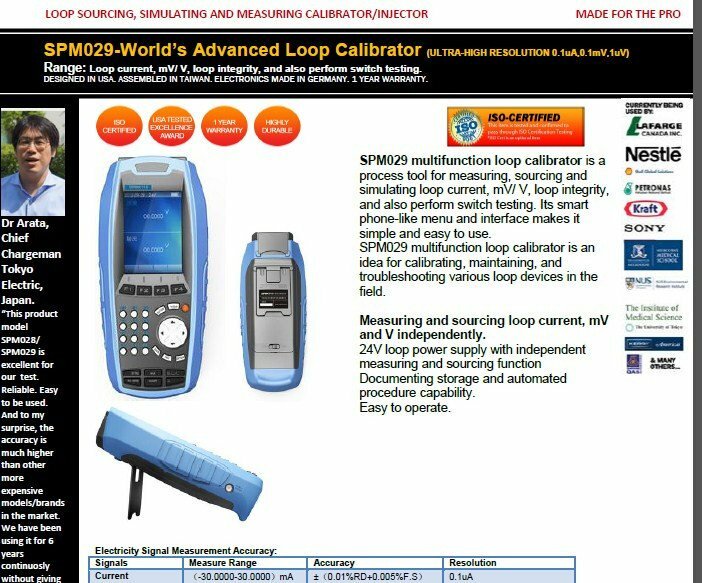 SPM029 multifunction loop calibrator is an idea for calibrating, maintaining, and troubleshooting various loop devices in the field. Measuring and sourcing loop current, mV and V independently. Documenting storage and automated procedure capability.